PAROC XSS 003 capillary break is a polypropylene profile used as a capillary brake between a ground slab and timber constructions; for example, in garages. 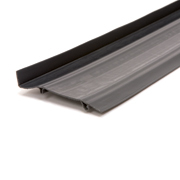 It consists of an extruded polypropylene profile with longitudinal notches of TPE. It also has an L-formed profile of extrude polypropylene on one side. This protects it from water penetrating into the wall.